Healing Fossilized / Petrified Wood tumbled stones. All natural, tumbled and polished to a nice sheen. Size is one inch. Current stock is beautifully patterned and has an awesome polish. Fossilized Wood increases our feeling a bond with the earth and of being at home here, and can aid us in knowing we are in the right place at the right time. It can also be used as a tool to advance ourselves to the higher aspects of ourselves and our ultimate purpose. Aids in concentration, grounds and centers us on our life path leading to our life goals. Calming, heals feelings of being scattered, flighty or indecisive. Helps us to finish what we start, promotes setting and keeping goals and helps the spirit function in the body. Petrified or Fossilized Wood has a Triclinic or Amorphous crystal system and is in the mineral class of Oxide. It was formed when dead wood was saturated with silicic acid in the ground. As water loss occurred it solidified. Gradually the wood was replaced by Quartz, and sometimes more rarely, replaced by Opal. There are also occurrences where the wood is replaced by Agate or Chalcedony which supply different healing properties. Its coloring varies from brown, reddish, shades of light to dark gray, and even yellow tints. Much of its coloring depends on the circumstances present as it formed. Because of its odd shapes and coloring, many ancient peoples thought they had found old tools of the gods or giants bones and believed they contained powerful magic. I have found Petrified Wood to be a good grounding stone. Laid on the First or Base Chakra for 10 to 15 minutes seems to float my little swirling worries away. This allows me to focus on real matters at hand instead of my imagined battles with dragons. Athletes can benefit in carrying this stone. Trees circulatory systems function much like those of humans which makes it a stone sympathetic to our skin, muscle and circulatory systems. Fossilized Wood increases our feeling a bond with the earth and of being at home here, and can aid us in knowing we are in the right place at the right time. It can also be used as a tool to advance ourselves to the higher aspects of ourselves and our ultimate purpose. Petrified Wood aids in stimulating inner imagery. It helps to regain a firmly planted stance in reality and to recover emotional composure when we're 'wound up'. 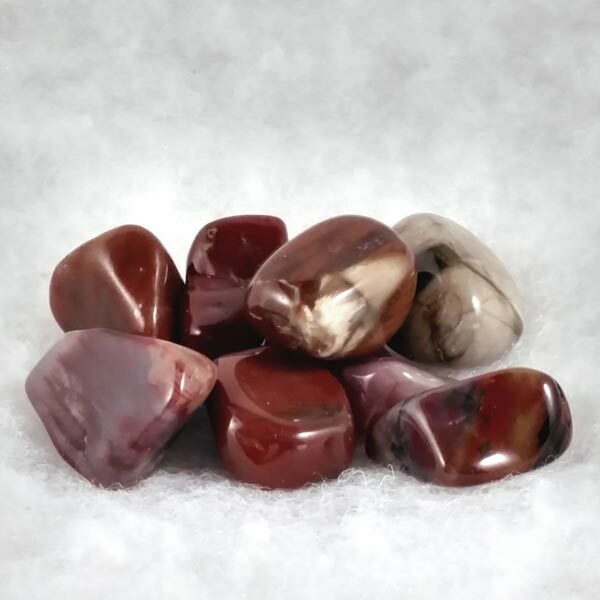 Many experience a warm calming effect when using this stone. Petrified Wood allows us to create a pleasant inner atmosphere and to live simply. It seems to provide permission to allow ourselves the time needed for relaxing and reflection. 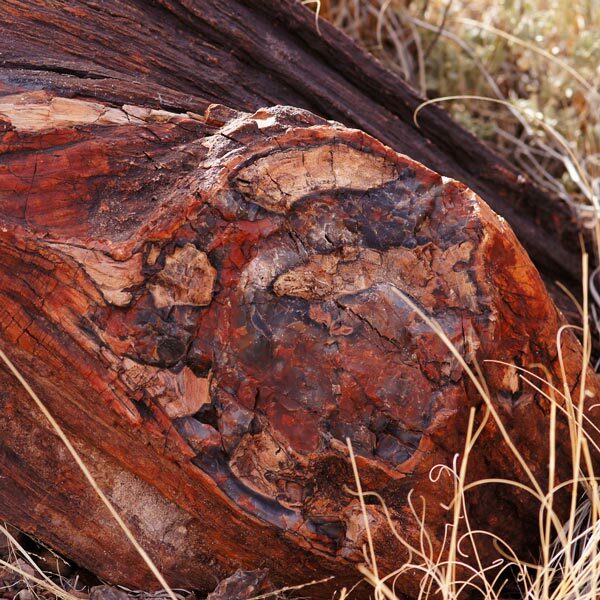 Petrified Wood aids in stabilizing our health. It can stimulate our metabolism but also calms nerves and creates a feeling of well-being. When we feel grounded, we feel safe and there is less chance of physical problems sneaking or settling in. Petrified Wood has a special affinity with Leo. Its Energy is Receptive and like most stones that are considered fossils, its Element is ruled by Akasha. Petrified Wood has been used in spells that have been designed to extend a life span or to promote evolution of the self. A stone that is millions of years old, it is also being used to recall past lives or incarnations. In ancient times, many carried a piece of this stone to fend off what was considered evil. In modern times this has translated into creating a barrier that will deflect negative energy and once again shows me that many times there seems to be a basis to the old folklore and legends.